From San Cristobal, to Isabela, then Santa Cruz, editors from SUP Magazine and eight guests experienced first-hand one of the rarest and protected ecosystems on earth. You can also check out the video below to get a real sense for that adventure. 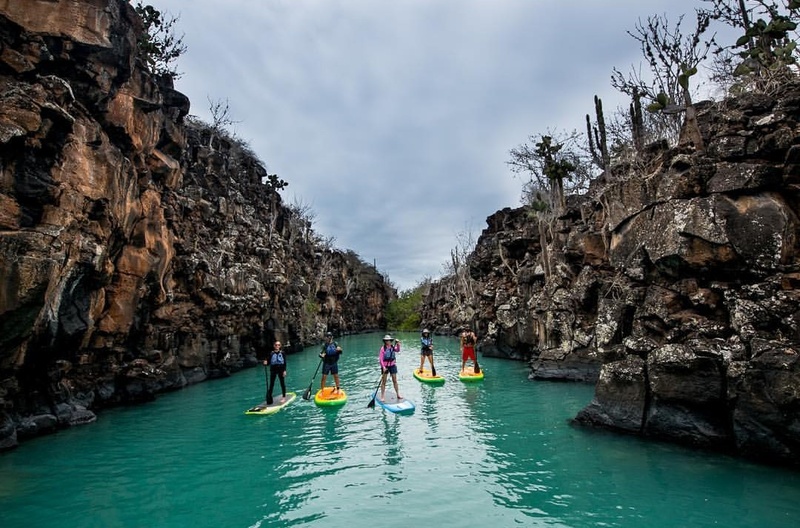 Our team has been thrilled with the evolution of our SUP offerings, which also includes our Amazon SUP trip, and it’s the kind of evolution of our trip collection that gets the whole team excited and thinking about what our next development will be. As usual, our team has been out there scouting and testing alternative ways to explore Latin America – remember Eric’s scouting mission to find off-the-beaten path explorations at Torres del Paine in Patagonia or Lisa’s Bolivia expedition? – and we’ve got our eyes on some really exciting stuff to come in 2019, but we also want to hear from you! The way people travel is always changing and evolving as we all work to be more sustainable, explore more authentic and dive deeper than ever before. A big part of the thrill of being in this business is getting to push that forward, reimagining the way we explore, redefining – for ourselves and for our guests – what it means to truly experience a destination, and finding alternatives that unlock previously experienced destinations in a whole new way. That’s why we just unveiled our Peru Women’s Adventure, an all-women special departure that explores Peru for an 8-day adventure guided exclusively by Peruvian women. And that’s why Justin and Jonathan hit some of the roughest roads in Costa Rica to check out incredible unspoiled beaches, witness awesome wildlife in action, and take part in some unforgettable food experiences. Even just a few years ago it would have been hard to imagine experiencing the Galapagos Islands by SUP, or envision an exclusive Chilean safari-tent excursion from a secret location for the next solar eclipse, but we know Latin America still has so much that we can unlock in a whole new way.